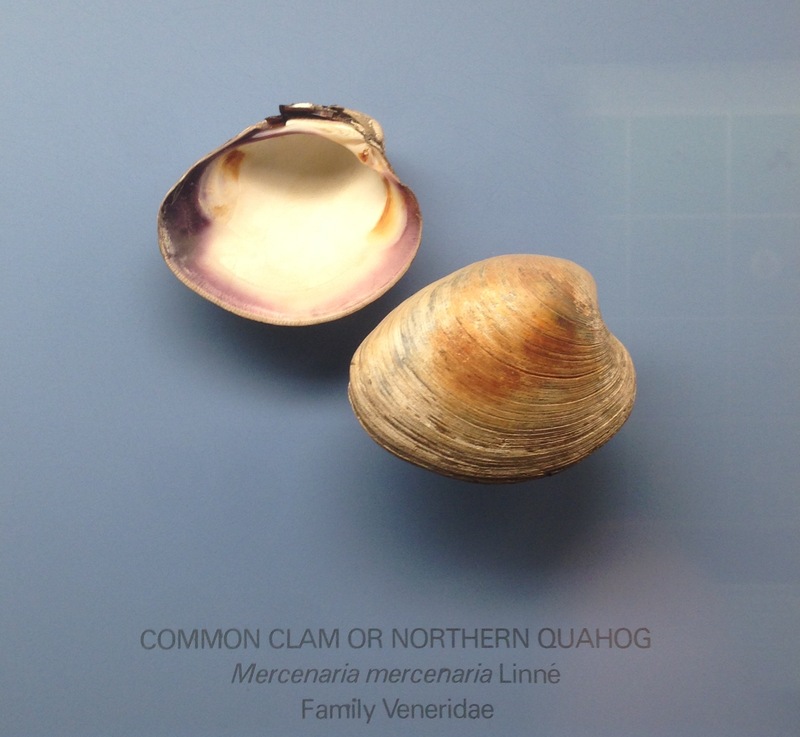 One of my favorite binomials is Mercenaria mercenaria, the hard-shelled clam that has numerous common names depending on its age/size: Littleneck, countneck, topneck, cherrystone. The oldest/largest are known as quahogs, a.k.a. chowder clams. The purple stain on the inside of the shell here is the famous wampum, which was used by native Americans as a ceremonial and trade good and then commodified by Westerners soon after they arrived on these shores. UPDATE: In all the excitement, I forgot to mention that this is my photo of a display at the American Museum of Natural History, in the hallway of shells. Jingle shells are probably my favorite bivalve. “Binomial” is the two-part genus/species name.